Professional repairs means that you shouldn't have to have the same problem happening again and again. If you do, it can mean one of two things. Either the repairman didn't know that there's a hidden problem making that part go out over and over again or your unit is seeing it's last days of service to you. Either way, your repair technician needs to understand your system and what should be expected of it. An experienced HVAC repair person should be able to estimate the longevity of your current unit, and advise you of at what point it will be best to replace the unit rather than continue making costly repairs. Air conditioning repairs and tune ups shouldn't be done by anyone. You need licensed professionals who are experienced HVAC technicians to service your air conditioning and heating units. Sometimes homeowners are advised to replace the unit when it isn't necessary, and other times a homeowner may know they should replace it but just hasn't decided to go ahead and do it. Either way, you'll need technicians who know what they're doing and you can trust to be straightforward with you. Whether you need repairs, replacements, or installations, our HVAC experts can help you and will always communicate with you honestly. For quality HVAC services you can trust, you'll want to give us a call so we can get to know your unit with a professional tune up. Tune ups for your air conditioner will ensure your system runs better throughout this summer season. Just give us a call soon, before you need to use the A/C this year, and you'll be putting it on it's best behavior with less stress after sitting idle for months on end. Getting the system cleaned up and maintained will go a long way to making it last longer and work better for you all year. When you need duct cleaning, you're needing cleaner air in your Greenburgh home. And cleaner air is important because it means you'll be in better health and be more comfortable in your home. That's one of the reasons we love what we do here at Nu-Way Air Conditioning & Heating. We love that our services affect our customers in a positive way that improves their quality of life. When we work hard for you, we clean your ductwork thoroughly. We clean the registers (or grills), the inside of each return and supply opening, and your entire air duct system including the blower and evaporator coil (when accessible). We use tools that are high tech and can get into every little tiny space in your system. Our professionals are thoroughly trained and certified technicians that are experienced at air duct cleaning. We respect your home and other surfaces to ensure the mess doesn't spread from your ductwork to your home. When we're done, we clean up our work area and put everything back together again. 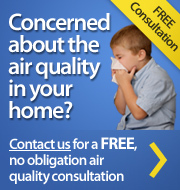 Our services will include good communication so you're comfortable with your decision to clean up the air in your home. When you are looking for professionals you can trust, you'll find them at Nu-Way! If you need quality HVAC Services you can trust in Greenburgh or surrounding areas, please call 914.777.5030 or complete our online request form.